In addition to Dragons' Den, one of my favorite CBC shows is Steven and Chris. Just when I'm need of an afternoon break, there's the dynamic duo, whether learning how to play guitar with Steven Page or making crafty items with TV host/design blogger Karen Bertelsen. 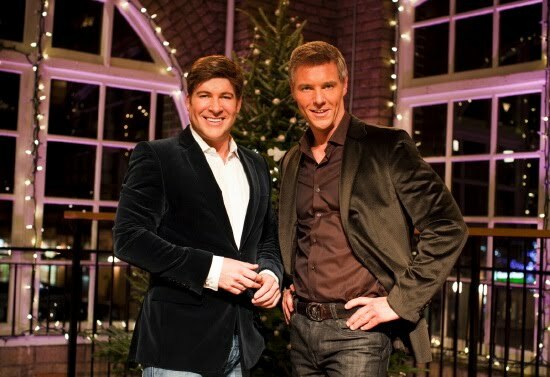 Hosts Steven Sabados and Chris Hyndman, formerly of HGTV's Designer Guys, are also a couple in real life. And according to tvguide.ca, their show is now also being broadcast in the US. TVNewsCheck.com said the show made its debut south of the 49th Parallel in September of this year, and was picked up by Cox Media, Hearst, LIN and Newport stations. I don't think it's yet playing in the Seattle market, but no worries.